Sometimes, when a famous person dies you think about what that person meant to you and what they did for you and the world in their lifetime. When a famous person dies too soon you think about what they would have done for the world in the remainder of their lifetime had it gone on for another 20 – 40 years or so. In the last few weeks we have seen Prince and yesterday Muhammad Ali die, both of which meant something to the world. Ali, was 74 and meant a lot for the sport, but also did a lot next to and after his boxing career, but in all honesty was not going to do more great things. Prince did a lot for music, not only with his own music, but also the music he wrote. If he would have been around for another 20 years or so, we would have seen a lot more great music, no doubt. A little more back in history we have more great people that meant something to the world. Nelson Mandela, well you hardly have to say anything about that man, from battling regimes in South Africa and fighting against apartheid his entire life, to connecting people until his death and in general being a very likable guy. Though it is sad to loose a man like that, he was old and his greatest achievements were behind him. A very different kind of man was Ayrton Senna the 3 time Formula 1 world champion that died way to soon at Imola in 1994 at the age of 34. It is always interesting to think of what would have happened to Formula 1 had he not died that day. Would Michael Schumacher have been world champion that year (his first time) and the next year and if not, would he have ever been the world champion? Steve Jobs. Not an Apple guy myself, but it is clear that Steve changed the way we connect to people today, but what would have happend if he was still around. Would we have the larger iPad pro’s that he thought were to large, would we have iPhone’s that are way more innovative than the ones we had the past year, with nothing really new and exciting. And in my own country a guy like Pim Fortuyn, a politician on his way to become prime minister of Holland that was shot and killed before he could get to that post. No matter if you agree with his views or not, it was an interesting guy and probably was going to be the first openly gay prime minister of Holland with a few pretty extreme (for that time) views. I know that even after his death politics changed because of him, would have liked to see what he could have done when alive. One could argue for presidents and people like that, but to be honest if one dies, another that is kinda the same will take his/her place, so that not really a big loss (again, if you look at it in the global scheme of things). 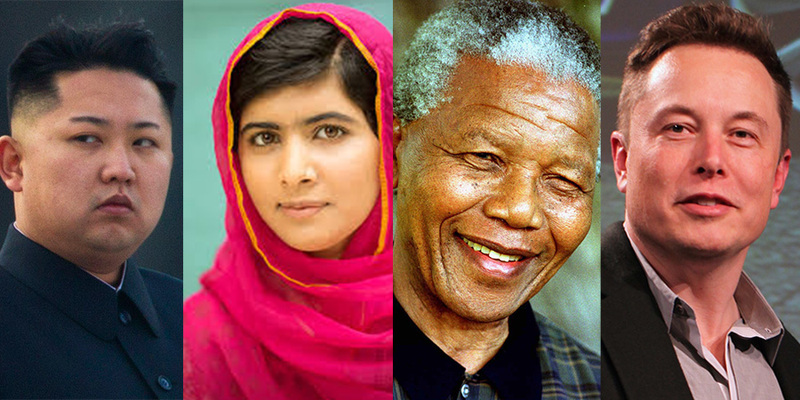 One that comes to mind is Malala Yousafzai, the Pakistani girl that was shot in the head by the Taliban, survived and is nog traveling the world to talk about female education and even has a Nobel Prize already. Pretty sure she is going to do a lot of good things in the rest of her life (she is just 18 years old). She would be a big loss to the world for sure. Someone else that comes to mind is Elon Musk (the guy from the rockets, electric cars and mission to Mars), what would happen if he died today. Will the Model 3 electric car ever see the light of day, will we still have cheap rockets to space and will we ever get to Mars? Watching an interview with him today there is a lot of other stuff in that guys mind that will come out into the real world at some point. The Hyperloop for example and neural lace to connect us to technology. I for one would like to see him try all that stuff. But people do not just have a positive influence on the world, what would happen if for example Kim Jong Un would die today? Is there anyone to replace him? Would the regime crumble and fall apart? Would the North Koreans finally see what really is going on? Or would a look-a-like just fill in his place or some random guy claiming to be ‘The great leaders’ reincarnation? There are a lot more people that do great things, but I can not think of many more that would really make a big impact on the world would they die today in either a positive of negative way. Feel free to comment and mention anyone you think should be on the list. Tagged Ayrton Senna, Elon Musk, Kim Jong Un, Malala, Mandela, Pim Fortuyn, Prince, Steve Jobs.